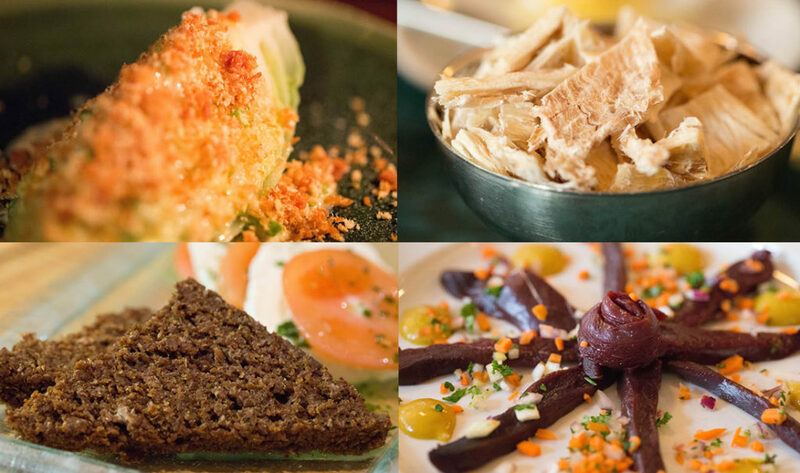 When thinking of vacationing in Iceland, most people probably don’t think about the food. I, however, am not most people. I was thinking about the food. 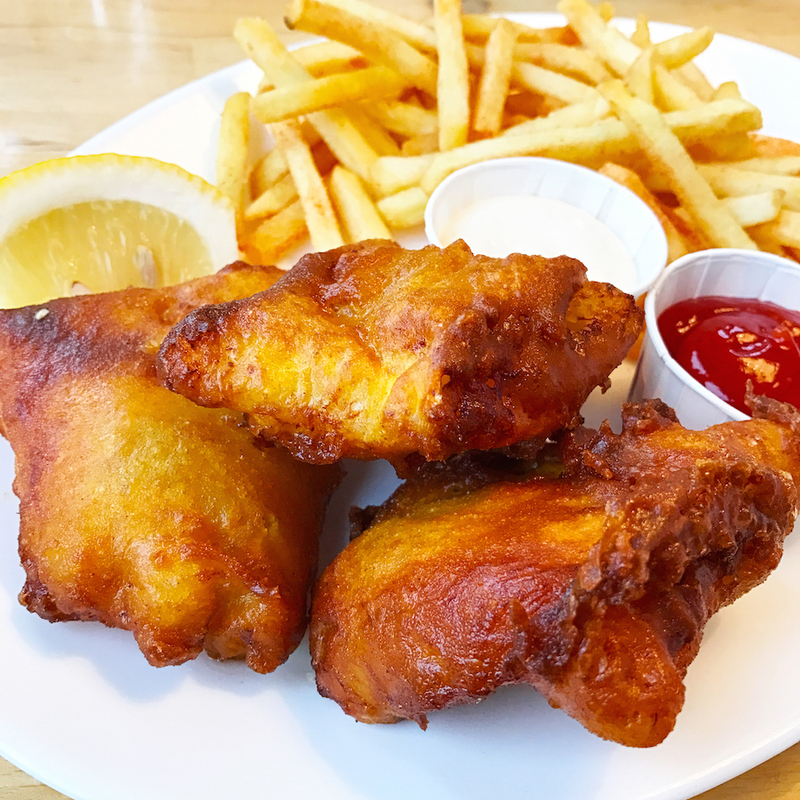 I wanted to experience the best, most authentic, and most popular foods Iceland had to offer. We started in Reykjavik and drove the Ring Road around the entire country. We ate all kinds of food. 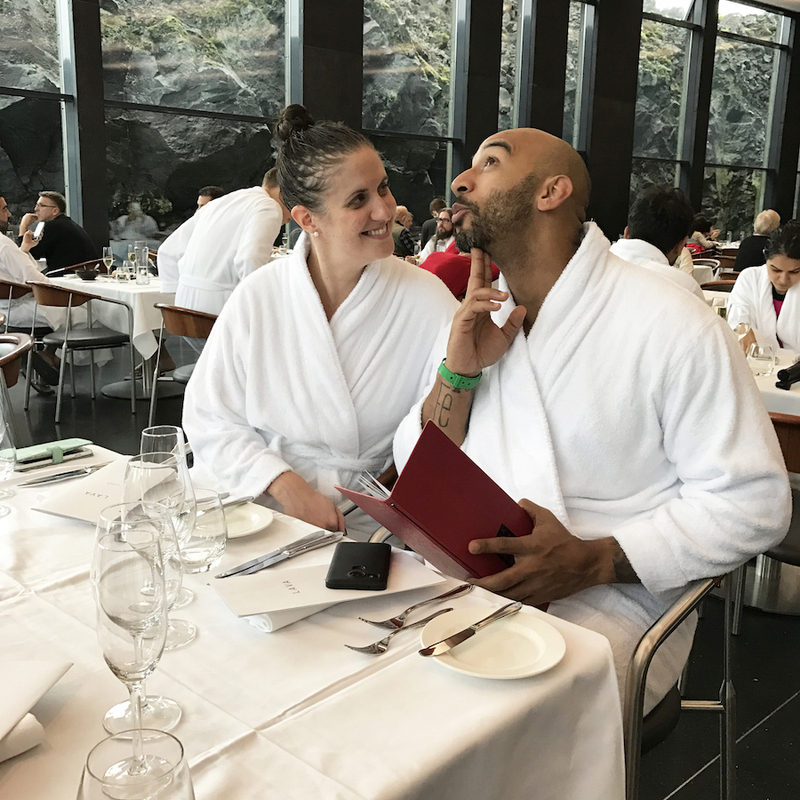 Everything from a 7-course meal at a Michelin star restaurant to the freshest fish and chips I’ve ever had, fermented shark, whale, puffin, and even geyser bread that is baked underground. One important thing to know about eating in Iceland: food is very expensive. Make sure to budget accordingly. Even coming from an expensive US city like Los Angeles, Janette and I had a severe case of sticker shock. One day, at a casual diner, I had a sandwich and a coke for lunch. My total was $32. 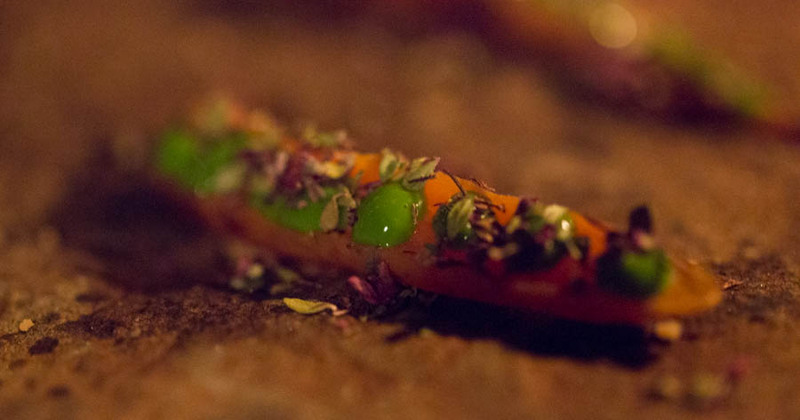 Dill is Iceland’s only Michelin star restaurant. 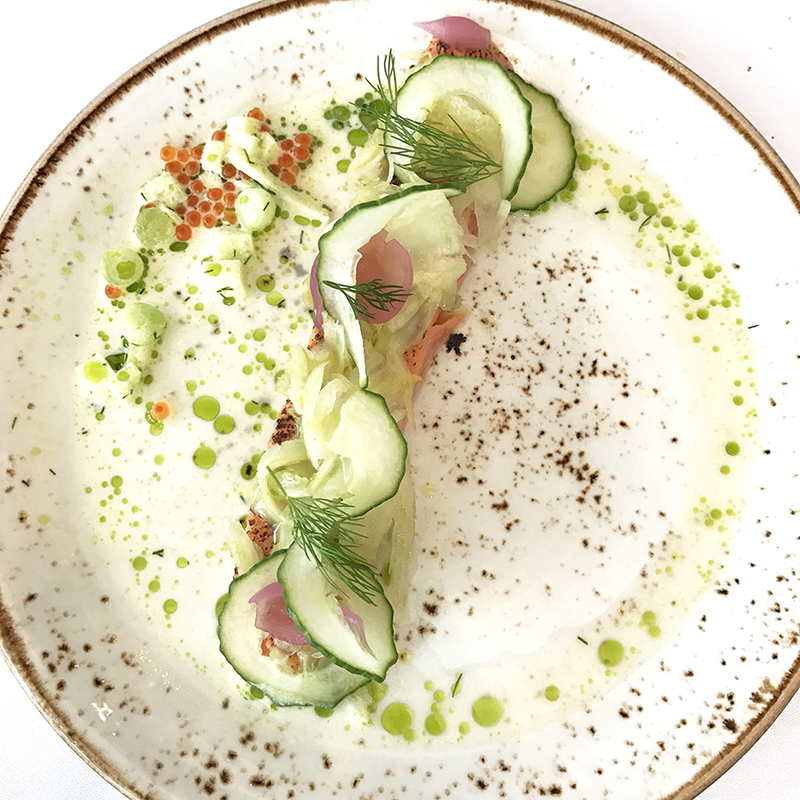 Here, Chef Gunnar Karl Gíslason puts a high-end modern twist on traditional Nordic dishes. This was certainly the most inventive of all our meals in Iceland. They also had the best wine list of any restaurant we visited. While you’re reading over the menu, they bring out a tray of snacks. They were all very interesting and set the tone for what to expect. I really enjoyed the detail of this carrot. Wonder how long it took them to surgically implant those peas? 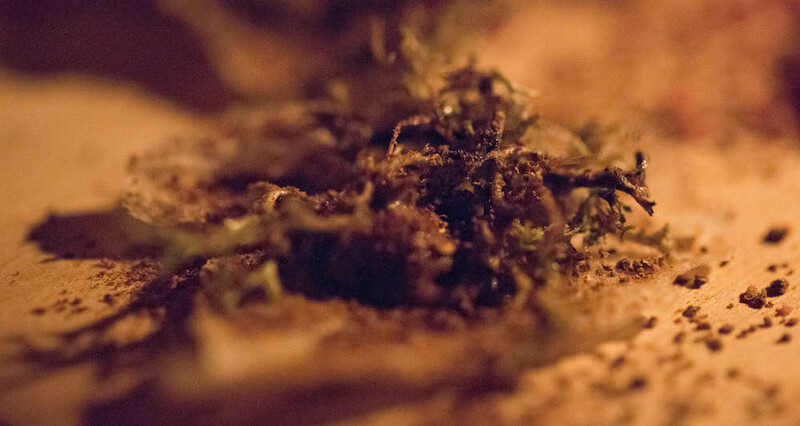 The dehydrated cauliflower & moss was certainly memorable. I’ve never eaten moss before, and I’m not sure that I will again. It tasted exactly as you might expect moss to taste. 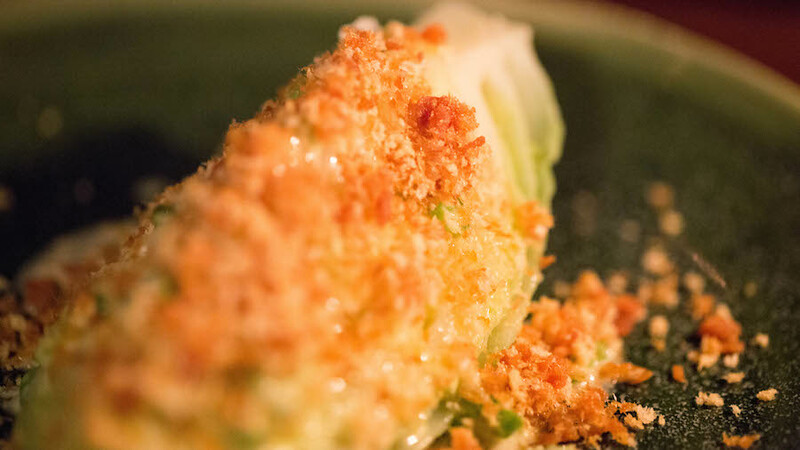 Our favorite dish was not something I would have guessed, but we loved this cabbage wedge covered in butter and sheep dung smoked trout. That’s right, we ate poop, and we liked it. We really liked it. How cool is that?? As far as I’m concerned, if I eat poop and a pellet, this is an automatic 5-star meal. 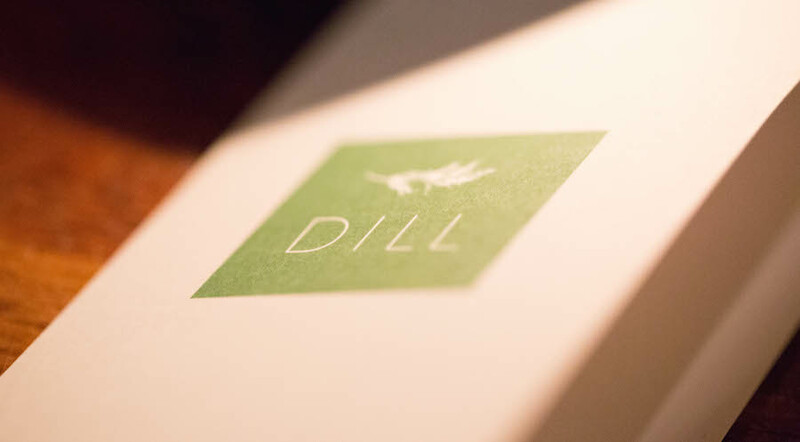 Overall, Dill was a very unique dining experience. I think any “foodie” who visits Iceland should put this on their must-do list. 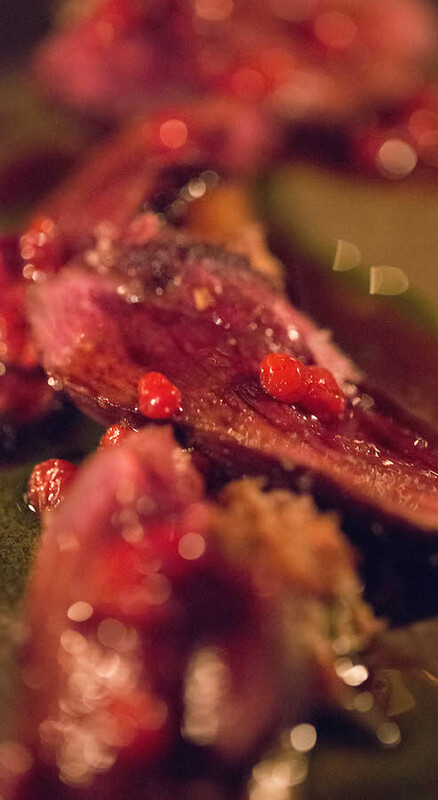 3 Frakkar is the place to go for traditional Icelandic food. Their menu features dishes like horse, puffin, shark, and whale. We went with a large group of people and tried almost every dish. It was such a unique experience and I’m glad we went here. 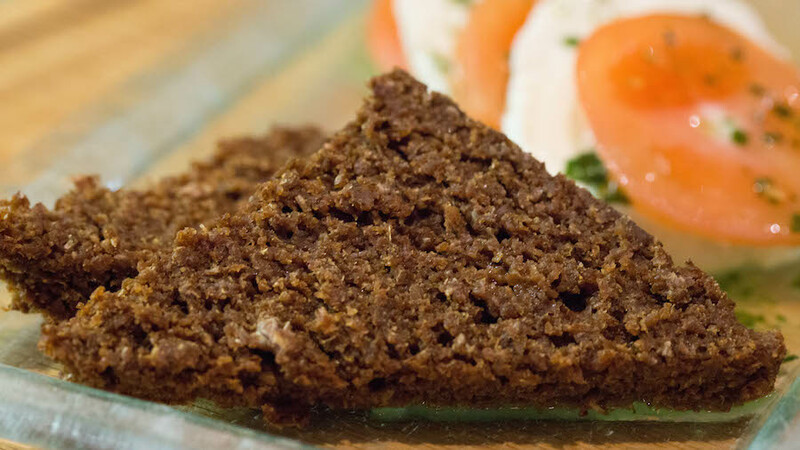 To start, they bring out bread as well as some butter, tuna salad, and harðfiskur, which is dried fish. 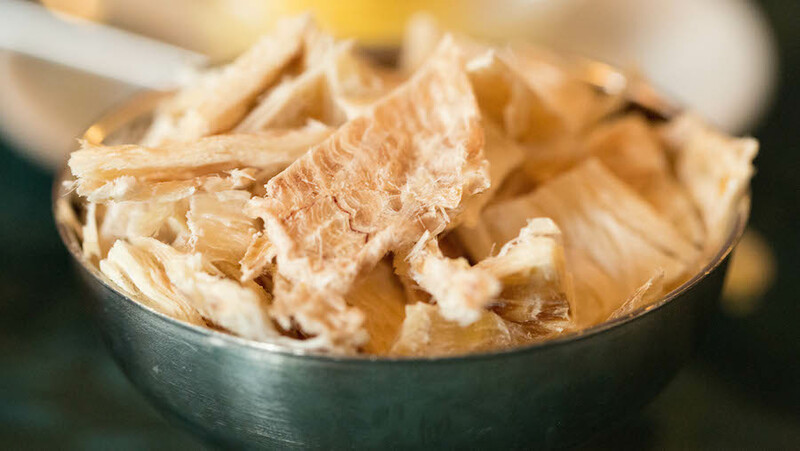 This dried fish is a staple of Iceland and it is usually eaten on bread with butter on top to help soften it. It wasn’t bad, but maybe not something I would go out of my way to eat. The tuna salad was excellent. Very fresh. 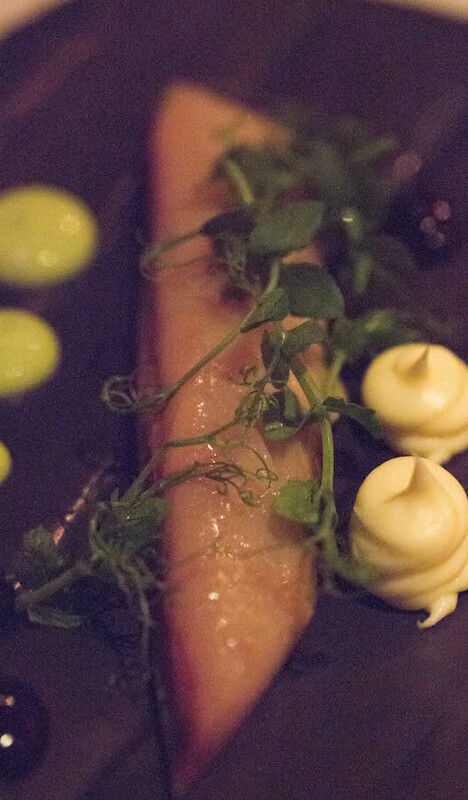 The smoked puffin breast was definitely my favorite dish here at 3 Frakkar. It had a wonderful flavor and we were very much in love with the mustard sauce that came with it. I’ve never had the chance to order whale before. I’m an adventurous eater and like to experience everything I can, so we went for it. Our waiter informed us that it is Minke Whale, one of the few whale species with mercury levels low enough to safely consume. 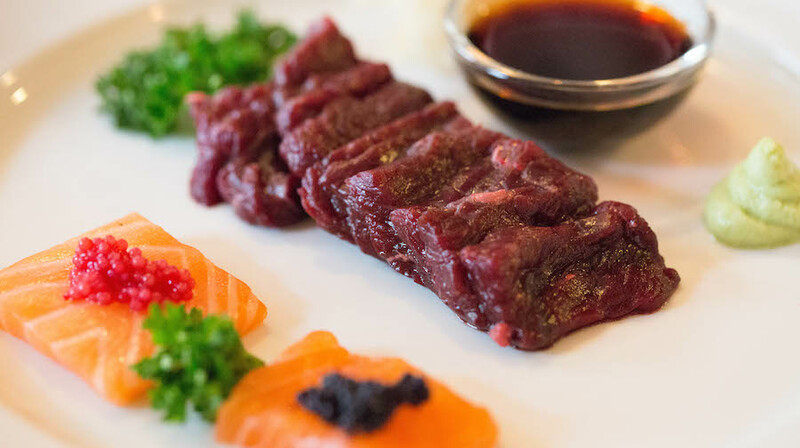 You can order whale steak, but we had sashimi style (raw). I did not really care for the taste or texture of the whale. It is not something I would order again. I was, however, a big fan of the arctic char and caviar they served on the side. 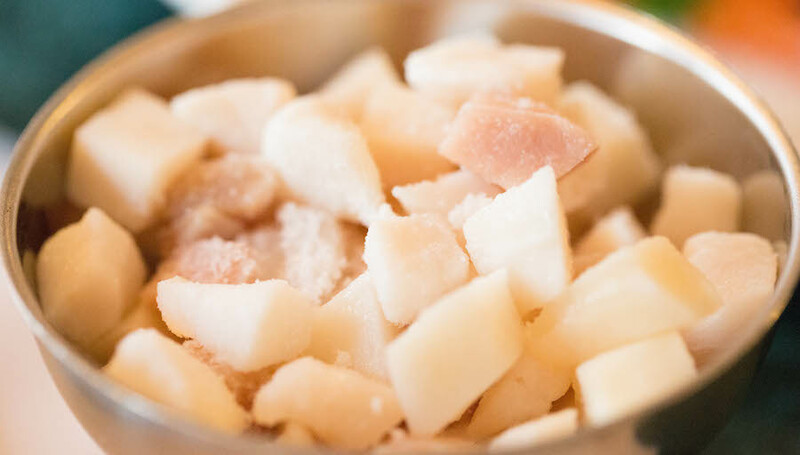 Fermented shark is one of the most famous Icelandic foods. It is normally served with a shot of Brennavin, Icleand’s most beloved liquor. I passed on that because I really despise anything licorice flavored. The shark is…well they used to eat it out of necessity, let’s just put it that way. The texture was very gummy and you can basically taste the ammonia. Not pleasant… but hey, why not try everything? The horse was the real surprise dish here for me. 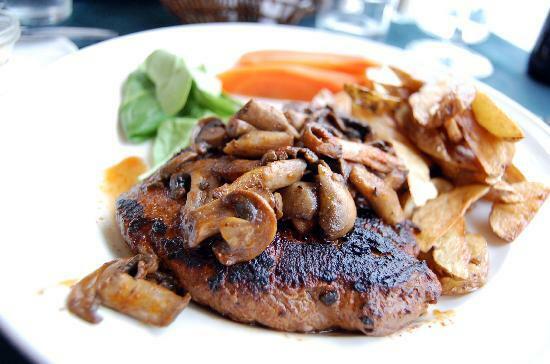 It’s basically the most delicious filet mignon you’ve ever had. I only had a few bites because it was my friend’s dish, but if I lived in Iceland I would definitely eat a lot of horse. I didn’t snag a picture of the horse while we were there, but you can see this photo below from 3 Frakkar. 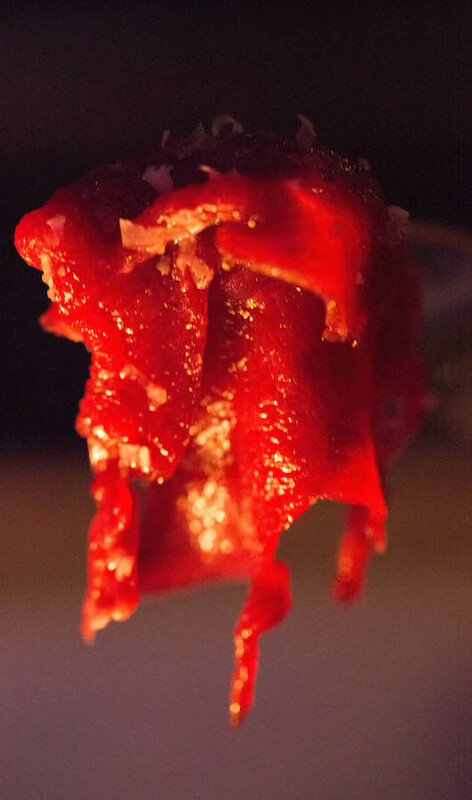 To the naked eye, it looks just like the beef steak you’re probably used to. Lava restaurant has probably the best location in all of Iceland. It’s built into the lava rock at the Blue Lagoon. 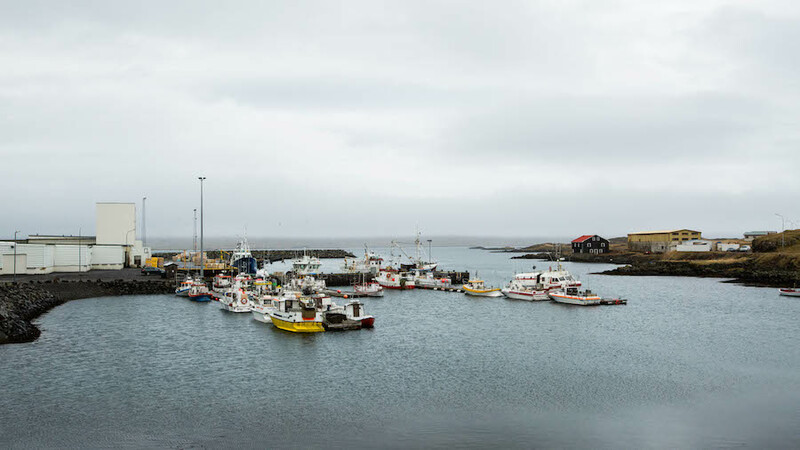 After a wonderfully relaxing day at the lagoon (get the in-water massage, thank me later), you may want to grab something to eat before heading back to Reykjavik. Your choices are pretty much a little airport-esque sandwich cafe or Lava restaurant. I highly recommend going with Lava. Some Blue Lagoon packages even include a complimentary glass of champagne there. Wouldn’t want to miss out on that! Lava definitely gets an A+ for presentation. All the dishes we had were works of art. This arctic char was one of the most “grammable” dishes I’ve ever been served. 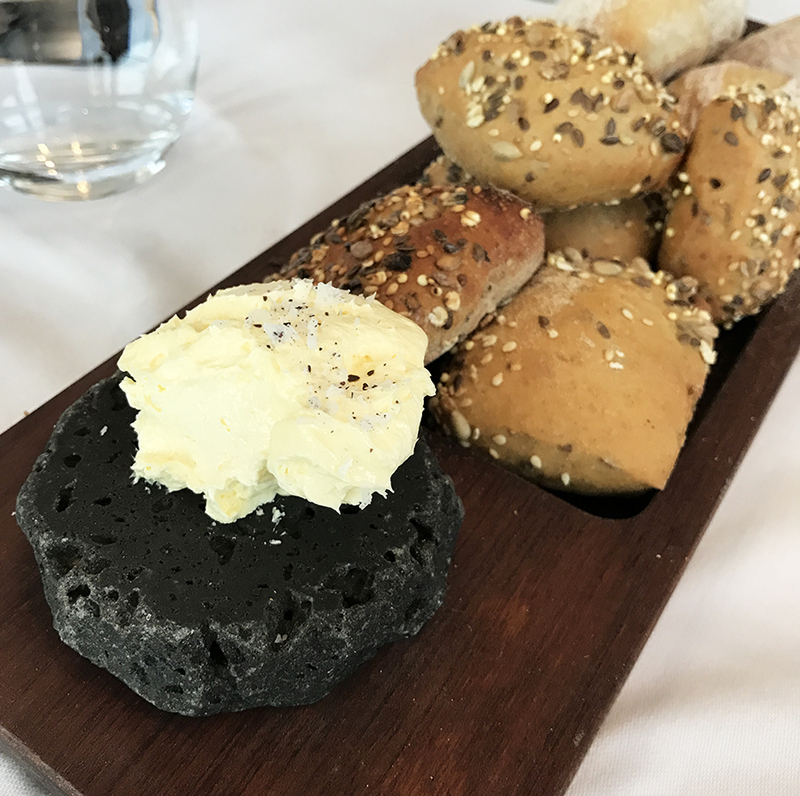 The presentation is so well thought-out, even the butter is served on a piece of lava rock. To be honest, I was a little too hungover at Lava to fully enjoy the food and give an in-depth review. However, I was impressed with the dishes we had and would definitely dine here again when visiting The Blue Lagoon. Our favorite meal of the whole trip was at Hotel Ranga. Every dish they served had a wonderful flavor and the service was the best we experienced in the whole country. Originally, I booked dinner reservations here for one reason: reindeer. I had heard that their reindeer carpaccio was something special. I am very happy to report that I heard right. It was amazing! 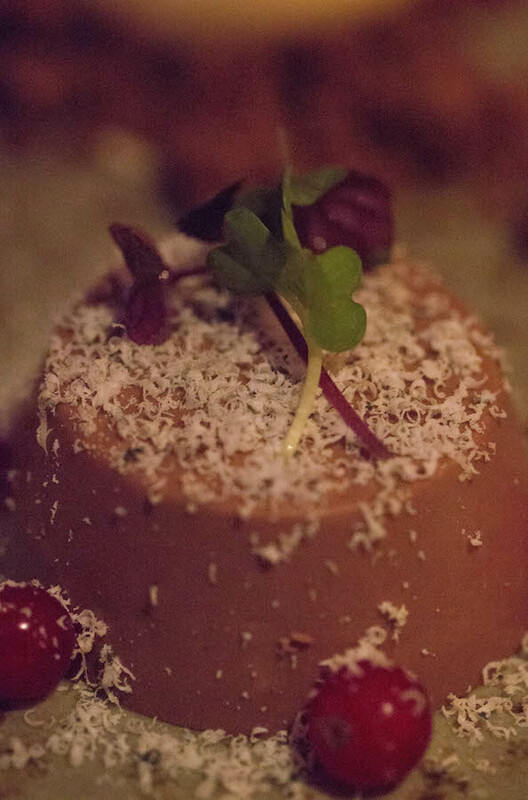 It’s served in a very simple way, just raw meat sliced thin with a little truffle oil and shaved parmesan. I was blown away by how much flavor this reindeer was packing. Definitely one of my favorite dishes from the trip. Sorry Rudolph, but I’d love to eat many more of you! 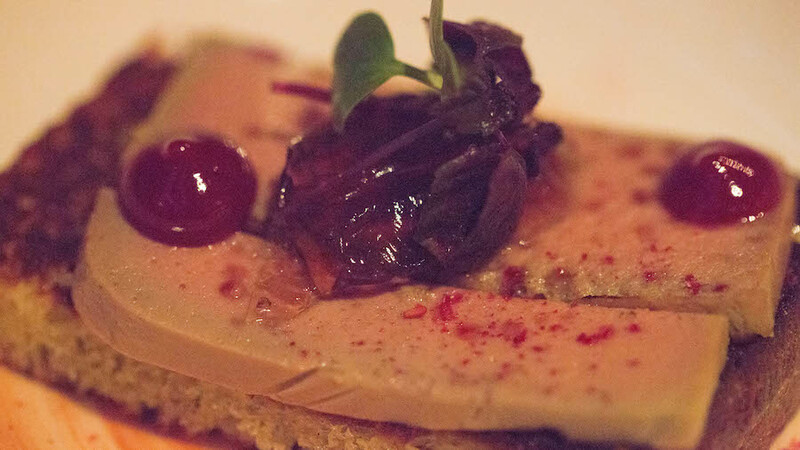 I am a pâté junkie and their chicken liver pâté is some of the best I’ve had. Even though I had already consumed more fish in a week than I normally would in a year, I really enjoyed this mackerel. Very fresh and perfectly salted. The creamy sauces it was served with complimented it perfectly. Dessert was this super interesting chocolate mousse topped with shaved blue cheese and wild currants. Not something I would have thought of putting together, but I’d say it was my second favorite dessert from the trip. Djipivogur is a small town with a population of only around 400. We rolled up Sunday at 7PM and everything was already closed! Be sure to plan accordingly when traveling though. He was motioning out the window to this view of the harbor. Talk about fresh! Vik is a popular city in Iceland. If you are traveling the ring road, it is likely you will want to stop and eat here. Halldorskaffi was recommended by the owners of our Airbnb cabin. It more than exceeded our expectations. The “Gimyr’s Sandwich“ caught my eye immediately. It had ham and pepperoni, and maybe salami? Then it was topped with some delicious pan-fried onions, mushrooms, and melted cheese. Perfection! 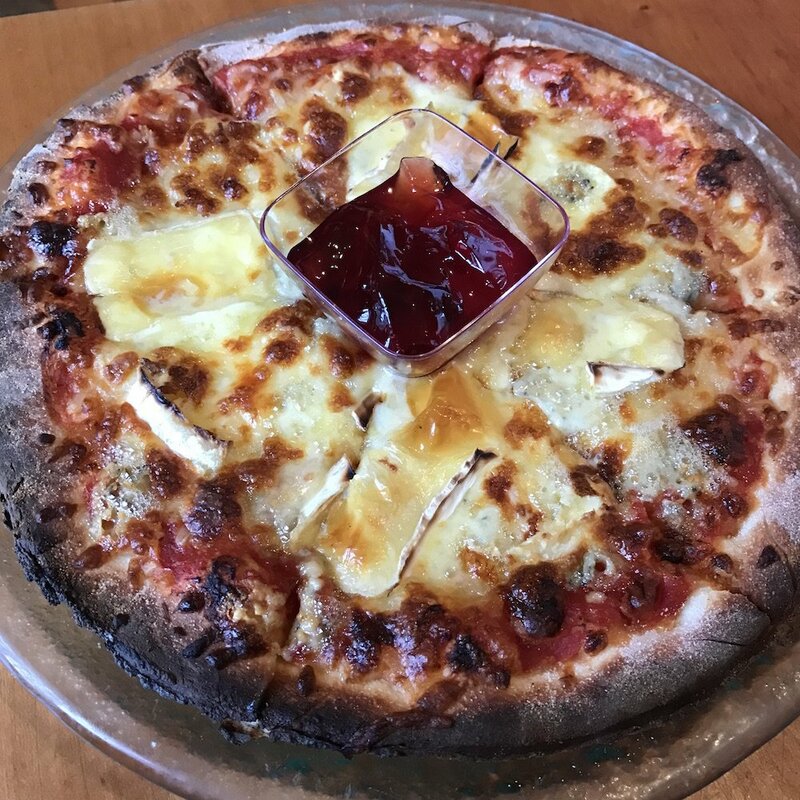 We also ordered their Settler’s Pizza which featured four Icelandic cheeses and red current jam. As a strong believer that you can never have too much cheese on a pizza, this was a real treat. I was skeptical of their choice to use a red sauce at first, but it was actually a very mellow tomato sauce and worked well. We should all be putting jam on pizza more often. 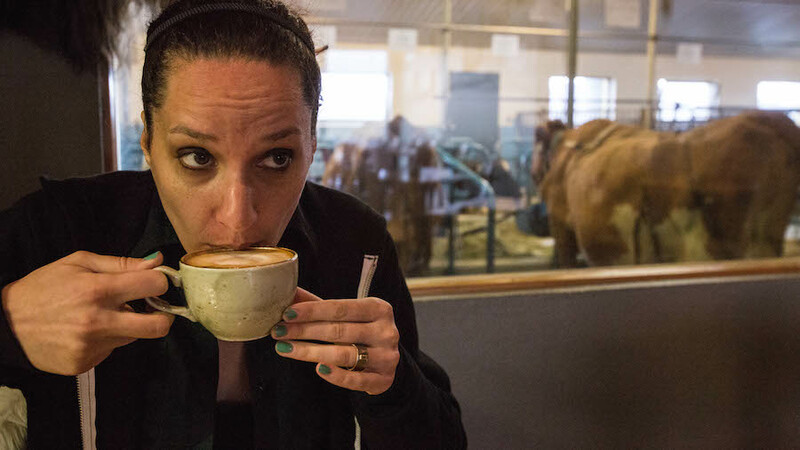 The Cow Cafe was on my Iceland to-do list ever since my friend Anne at The Travel Darling told me about it. I was sold just on the idea that you could eat your meal while watching the cows through the glass window. You just don’t get that in Los Angeles. I was afraid this place may be relying on the gimmick of being a cow cafe. Shows what I know. The food here blew me away and they even fed me the best lamb of my life. 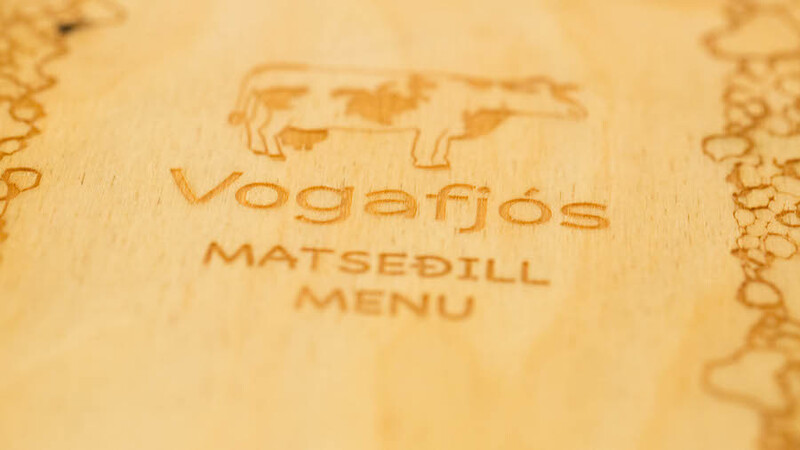 Because Vogafjos is an actual working cowshed, their dishes are very fresh and many include ingredients made with their fresh milk. A real farm-to-table restaurant! Just writing about it now is making me want to drive to LAX and jump on a plane to Iceland and get some of that fresh meat and cheese! Mmm…. We started our meal with their Geysir bread & mozzarella appetizer. The Geysir bread is a rye bread. It is baked in a pot buried underground near a hot spring. How neat is that? It definitely has a strong rye taste, with strong sour or fermented tones. It was quite delicious with the fresh mozzarella made with their own milk. And we were always happy to see vegetables on a menu. Because vegetables have to be grown in hothouses for the most part, they aren’t as plentiful in Iceland as they are in the US. They are also quite expensive. When we went to the grocery store, the bell peppers were $6-7 apiece! For our entree, we opted to share the lamb plate. This included a very tasty potato cake, a side salad (yay more veggies!) 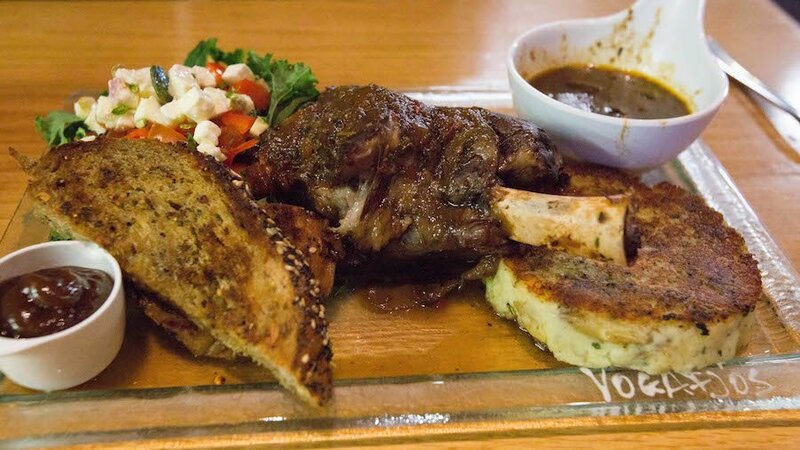 with farm fresh feta cheese, garlic bread, gravy, and…. 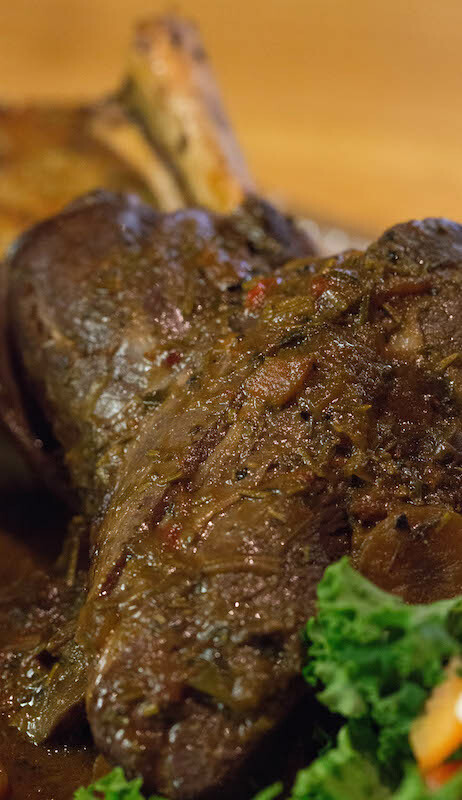 ….seriously, I wasn’t joking, the best lamb I’ve ever had! I wish we had taken video when we put a fork in the lamb. It literally fell right off the bone. They say Icelandic lamb is the best in the whole world, but I never imagined it could be this good! It makes me happy just to know that someone in the world got to feast on the beautiful lamb today. After we finished our lamb-gasm, we moved on to dessert. Since we’re at a cowshed we had to have their ice cream. They bring out an amazing looking platter with two different flavors. One was Geysir bread and the other was Angelica liqueur. 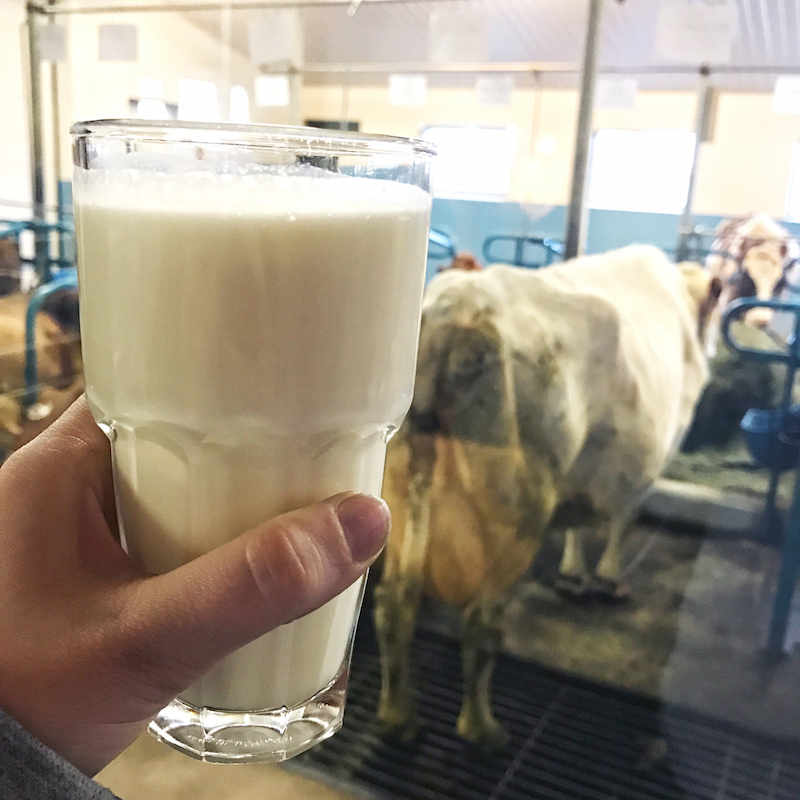 And don’t forget to wash it all down with the freshest glass of milk ever! I will definitely be coming back to the Cow Cafe on future visits to Iceland. I’ll let ’em know in advance so they can set aside an entire lamb for me. 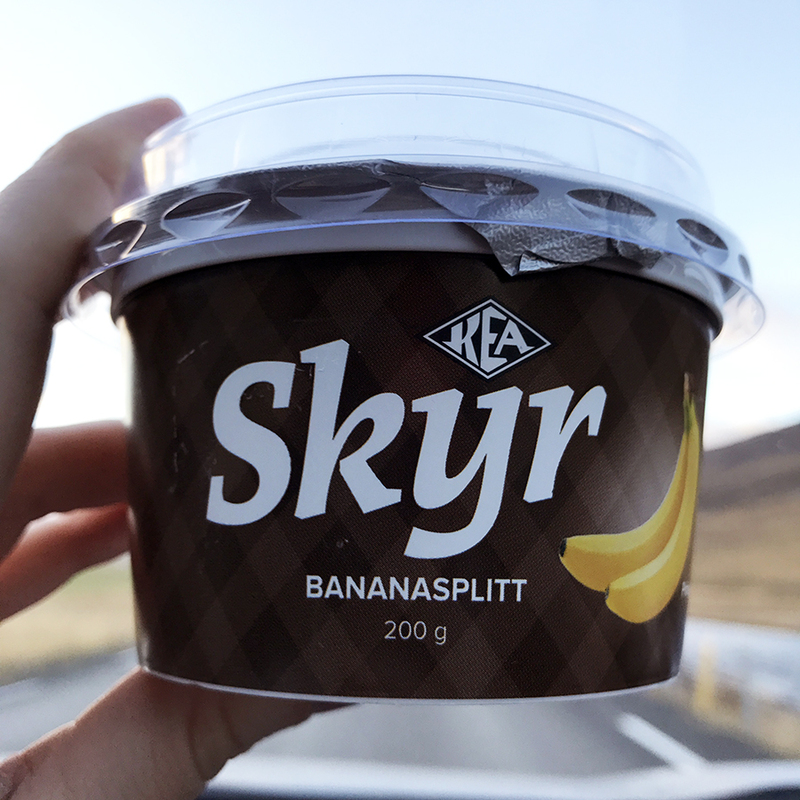 Skyr reigns supreme in Iceland. Everybody loves it. Everybody eats it. It is treated like a yogurt, though it is actually a soft cheese. Skyr comes in many different flavors and Icelanders often eat it for breakfast. 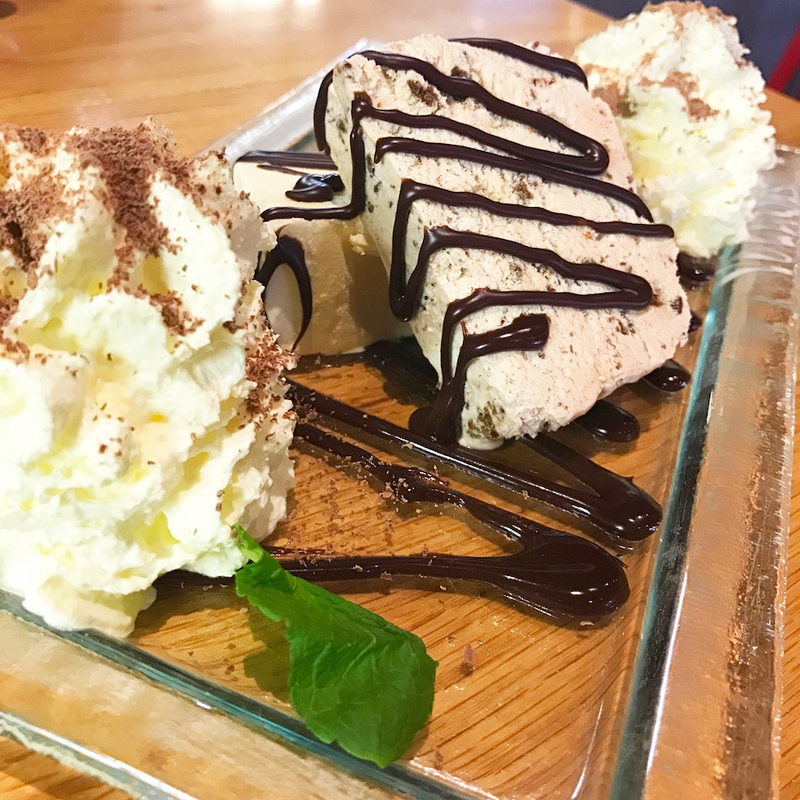 It was also incorporated into a few different desserts we ate. It served me well as an on-the-go breakfast around the Ring Road. You can find it at virtually every grocery & convenience store. 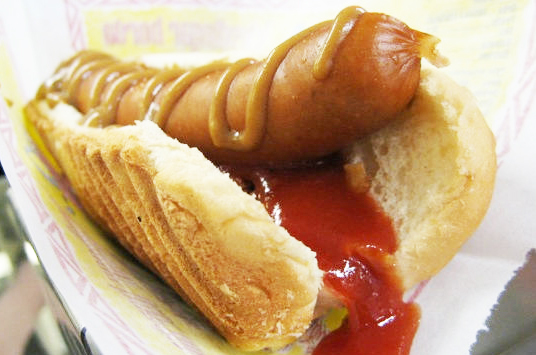 Hot dogs are a staple of Iceland. You can find them literally everywhere. Some of the best ones we had were wrapped in bacon from a gas station in the middle of nowhere. They really love their hot dog topping. Most everywhere had a remoulade sauce available that I was quite fond of. 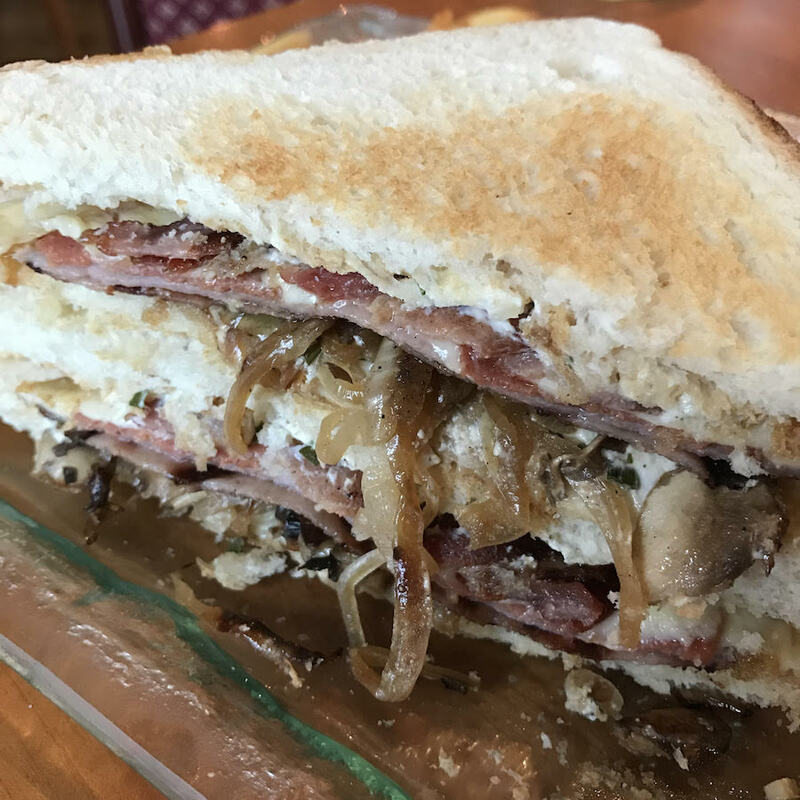 Other common toppings include crispy fried onions, ketchup, and brown mustard. What Did You Eat In Iceland? I hope my Iceland eats gave you some good food ideas for your trip. If you have any questions, please do not hesitate to ask. If you eat something good in Iceland, please let me know in the comments so I can try on my next visit! Some really interesting foods ! Sounds like fun. Sounds like you had a fun and delicious trip! I’ve heard of some of these dishes, but not all. And the fish sounds heavenly – so fresh! This sounds like a fantastic food adventure! If I get the chance to travel there I will absolutely use this post as a guide! I would say you had a foodtastic adventure! It all looks amazing. Wow, sounds like you had some real food adventures! You’re a lot braver than me, that’s for sure – I mean, whale sashimi?! 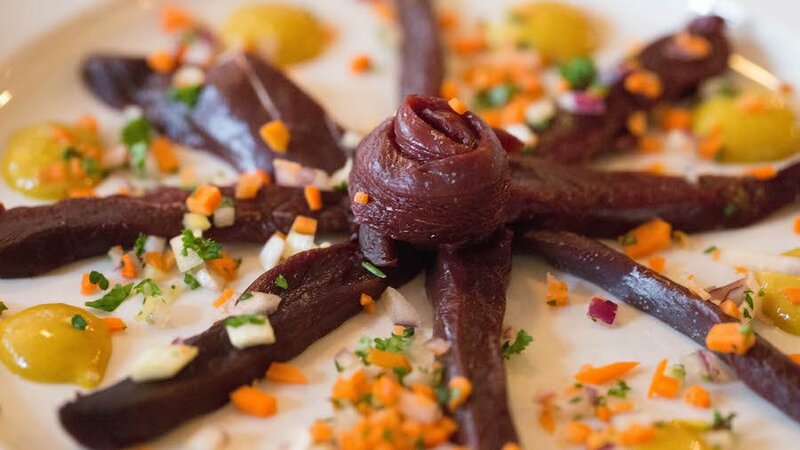 What a fascinating food culture they have in Iceland! WOW what a vacation that would be. The food and the total experience. Sounds like my kind of holiday, I don’t know what I would enjoy more…eating or going to the spa!! Looks like you had an amazing time with lots of good eats! Every time I travel, I’m alllll about the food! We have been dying to check out Iceland. No travel plans for us for the rest of this year, but I am totally pinning this for later! One of my girlfriends is heading to Iceland next month. I will be sending this on to her! And then hoping I get there soon as well! My daughter is planning to go to Iceland next year, I am sharing your post with her as she will need all this info 🙂 very useful. Thank you. ICELANDIC HOT DOGS ARE THE BEST! haha, sorry for shouting. We’ve been there a couple times and stayed with friends that live there. The food is always so good, especially the anything involving dairy, but my husband and I really love the hot dogs – so funny! Such an informative post – this looks like such a great trip. Everyone who goes to Iceland really seems to love it. Wow! What a cool culinary and cultural experience! The dehydrated moss and cauliflower sounds super intriguing!